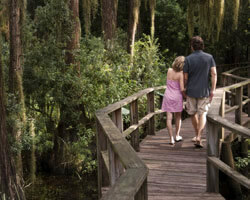 The Gulf Coast of Florida has been a favorite destination of Canadians for decades. The greater Tampa area and the connection to the Toronto Blue Jays spring training in Dunedin, makes this part of Florida a haven for many looking to break the grip of the cold, blustery winters and flock south for a little rest and relaxation. 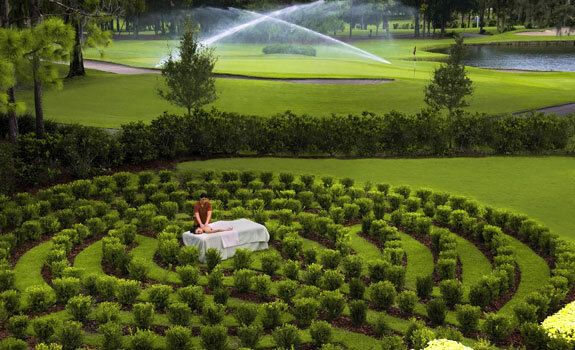 Innisbrook Golf and Spa Resort is a Tampa area treasure for those looking to enjoy time away from home in the Sunshine State. A short drive from downtown Tampa, through the sprawl of urbanization leads you to the oasis that is Innisbrook, a golf resort with few peers. 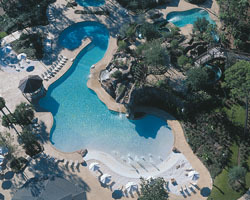 Part of the Salamader hotel brand, Innisbrook isn’t just about world class golf. This sprawling resort, built around excellent service and a spectacular setting, provides a little bit of everything. The amenities at Innisbrook are endless and the resort is a perfect location to use as home base to explore the Tampa area and its attractions. Built on 900 acres near the Gulf Coast, the resort is blessed with a setting both filled with activity and fun as well as being natural and pastoral. Providing a robust list of activities to make even the most energetic family tired, Innisbrook has something for everyone and every experience. Four pools, including the Loch Ness with sandy beach and waterslides, 11 tennis courts, miles of trails for cycling or jogging, or golf at one of the four championship course are just some of the activities for the high energy crowd. For those a little more low-key, a walk through the nature preserve, a lazy day fishing on Lake Innisbrook or a rejuvenating, pampered treatment at the Indaba Spa might just be the perfect fit. Many off-site experiences can be arranged including a day at world famous Caladesi Beach or deep sea fishing in the Gulf. 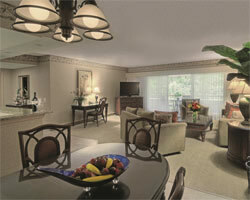 Guests have a wide range of choices for a stay at Innisbrook. The resort is dotted with clusters of lodge buildings featuring every type of accommodation to meet your individual needs. Deluxe guestrooms give the typical hotel room feel, while the one or two bedroom suites provide a gracious sitting area with kitchen for those extending a stay or needing the extra space for all the family. Each room is tastefully appointed, filled with all the luxuries to make your stay memorable. Weekly rentals provide a perfect opportunity to sample all things great at Innisbrook, while never being far from your own personal respite. With the resort shuttle service guests can park the car and not have a care in the world for the length of stay whether it be heading to the links, the pool, the spa, or out for a bite. The resort has a variety of dining options for guests. Packard’s Steakhouse provides a traditional American menu, while the Market Salamander provides the option of a chef prepared seasonal menu for dining or picnic baskets, or for those in suites they will help with the menu selection and purchases for a great home-cooked meal. 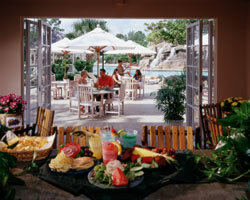 For a quick bite by the pool The Loch Ness Grille hits the spot, while those looking for a casual dining experience might enjoy Turnberry Pub or the Osprey Sports Bar for a nibble and a favorite libation. Very few golf resorts can boast of having four championship layouts onsite. The Innisbrook courses are designed by renowned architect and resort resident, Larry Packard. There is no shortage of greens and fairways to satisfy the golf craving. 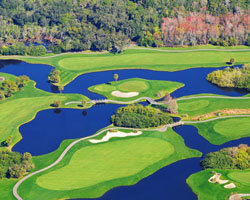 Each year the PGA visits for the Valspar Championship played over one of the players’ favorite routings, the remarkable Copperhead Course. Combined with the Island, North and South championship courses, Innisbrook provides a perfect blend of options for guests to sample all 72 holes of Packard’s legacy at the resort. For families and beginners the afternoon sees the opportunity to enjoy The Fox and Squirrel routing, a gentle blend of holes and tee locations to provide a family friendly golf experience for players of all abilities. Golf packages are available to resorts guests ranging from an introduction to the game with lessons at the academy; through to a diehard golfer’s dream of all day golf throughout your stay.